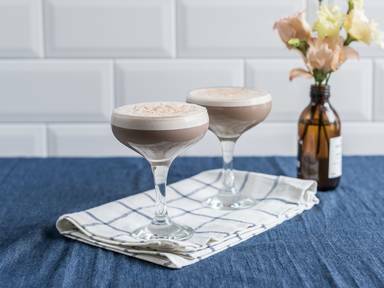 Pour the cognac, Port wine, simple syrup, and egg into a cocktail shaker and fill up with ice. Shake vigorously for approx. 30 sec. Remove ice from cocktail shaker, and give it another good shake. Pour into a glass. Dust the top of the cocktail with freshly grated nutmeg. Enjoy!